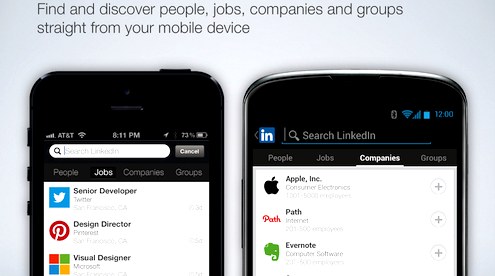 LinkedIn has recently introduced a very user friendly app for job seekers. The largest professional social network has launched a job search app for iOS devices to help its members find the job according to their requirement. • Customizable search : With the help of the advanced search, users can filter jobs by fields such as title, location, company, industry or seniority level. • Job recommendations : LinkedIn will “surface new and relevant opportunities” based on a user’s saved searches, jobs they have viewed and their profile. • Know how : It helps users to learn more about companies of interest and check out who they know who already works there “to get the competitive intel you need to stand out.” The app will also send notifications when jobs the user has saved are about to expire, when a recruiter has viewed their application, or when new jobs meet the user’s search criteria. As of now, this app is available only in the U.S. App can be downloaded from the Apple app store.